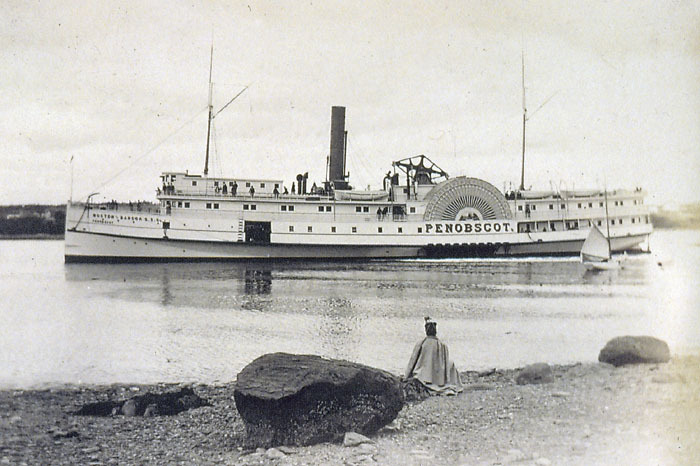 Bangor & Aroostook piers at Stockton Springs Harbor, Cape Jellison. 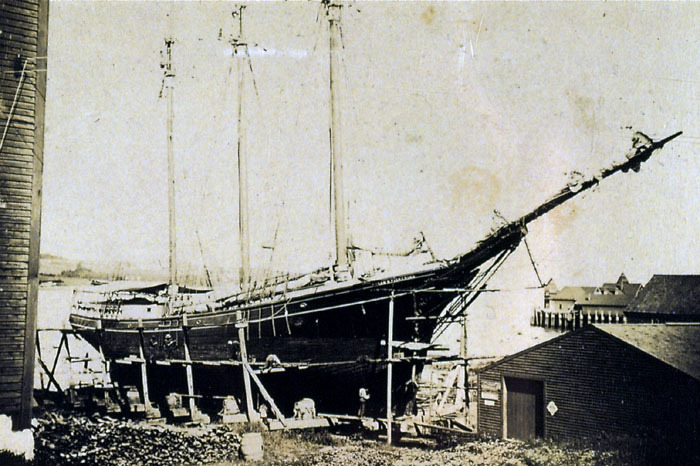 Twelve schooners are at the docks. 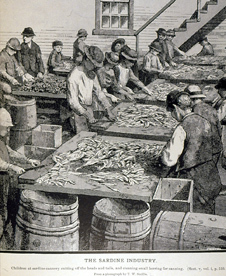 The docks were used for shipping lumber and potatoes. 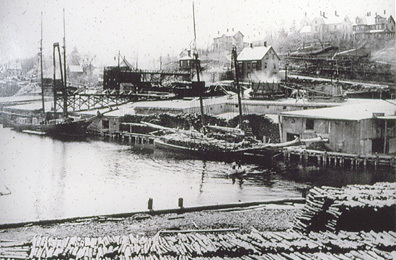 The docks were opened in 1906 when the railroad line was completed. 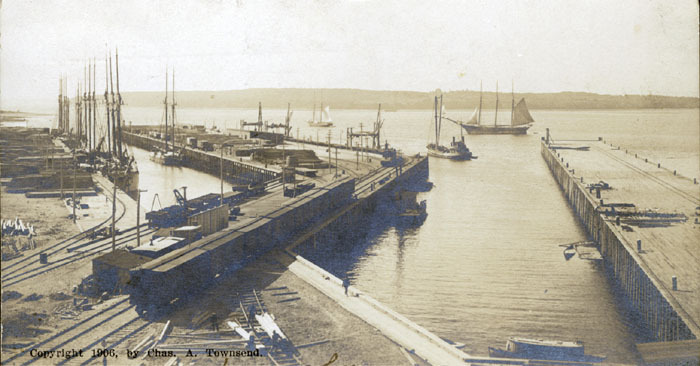 Postcard image of Big Pier, Stockton Springs. 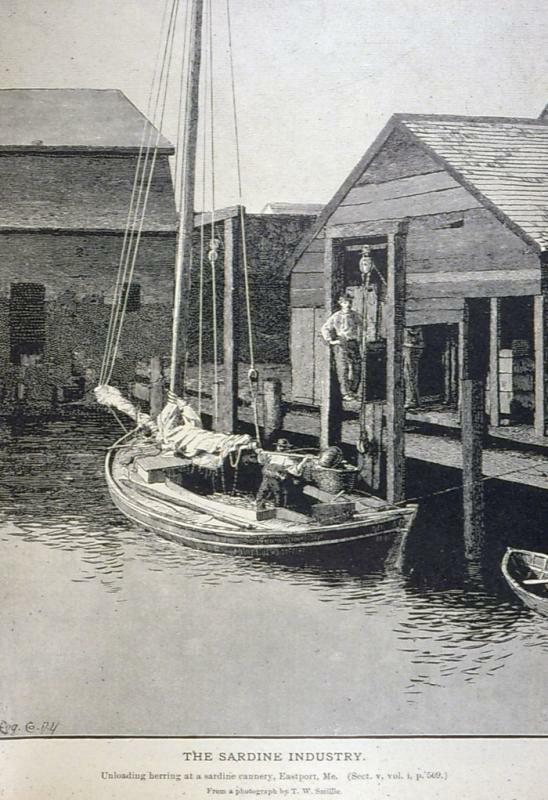 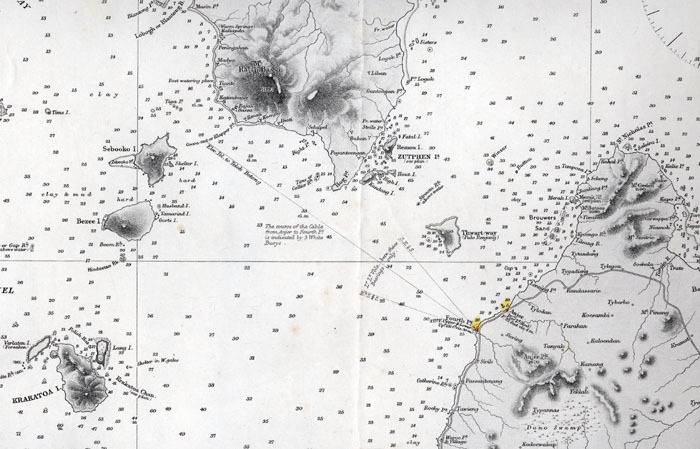 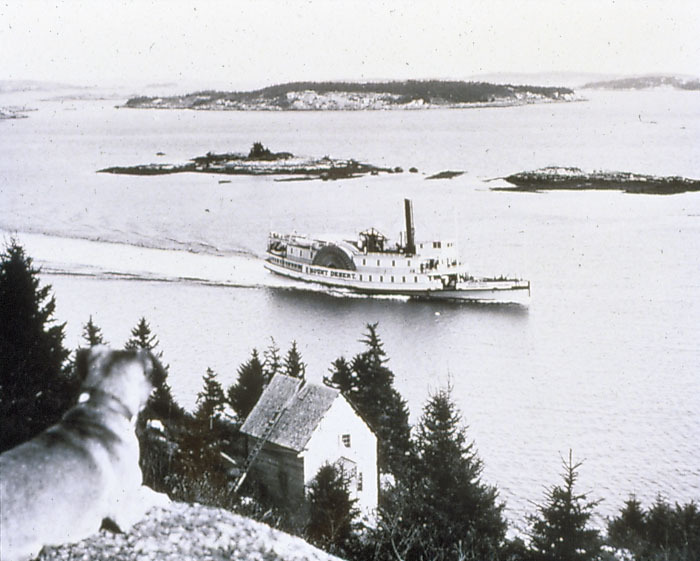 The pier, used for shipping lumber and potatoes, was 1600 feet long. 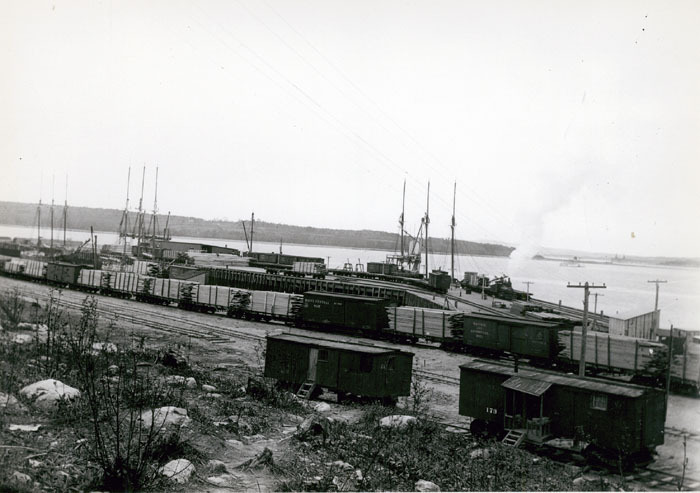 The Bangor & Aroostook piers were built in 1906 when the railroad line was completed.